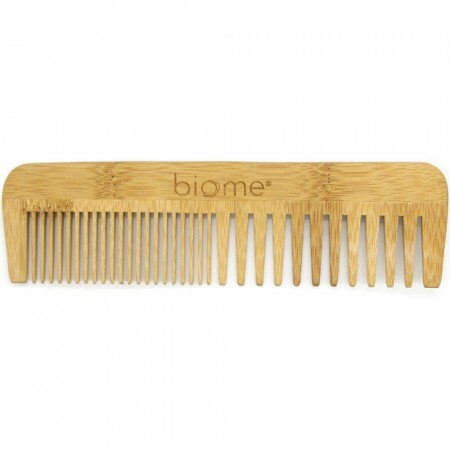 A fine and wide tooth comb from Biome, made from bamboo. Bamboo is a sustainable and environmentally sound material. Brushing your hair with natural bristles can also improve the health of your hair. Half fine and half wide tooth. 18 (L) x 5 (H) cm, with 3cm (L) teeth. Gentle on the scalp. Sturdy comb. I will never be using plastic combs again!